Almost thirty years ago, Walter Bruggemann contrasted Israelite visions of peace and prosperity involving the motif “vines and fig trees”. There is the prophetic version (Mic 4), looking to the eschaton, the state version (I Kings 4), legitimating the status quo, and the revolutionary version (I Macc 14), that does the latter in belief that it has achieved the former. Bruggemann noted the glaring irony, since Solomon’s military bureaucracy did anything but fulfill the dream of “all” Israelites. His reign was in fact a nightmare in which people were drafted away from any vines and fig trees, into the army, or just taxed out of the possession of their small farms in order to support the king’s splendor, including his 40,000 stalls of chariot-horses (v 26) and the provisions supplied for elites who feasted at his table (v 27). The Hasmoneans may have thrown off the yoke of tyranny, and undoubtedly Simon’s reign was more benevolent that Solomon’s, but images of “youths in splendid military attire” are ominous — and don’t exactly square with Micah’s vision of everyone beating their swords into plowshares. One might say the prophetic version is positively naive, the state version tyrannically propagandist, the revolutionary version fraught with contradictions. No wonder Jesus just cursed the damn fig tree altogether (Mk 11:12-14). In its Markan context, he was actually cursing Israel, the temple, and the Jewish leadership. (The nation hasn’t borne fruit, for its leaders are incapable of recognizing the messiah and the fact that the temple has become a den of robbers.) What more appropriate vessel to bear the curse than a tree that seems too problematic for Israel’s own good? Jesus was raised three days after his crucifixion (if you believe that sort of thing). Thomas Covenant has now been raised three thousand years after his own sacrifice. But where Jesus’ resurrection signaled, in the words of a famous scholar, “The Victory of God”, Covenant’s seems to pave the way for the enemy’s victory — disaster and oblivion. That’s Stephen R. Donaldson for you. 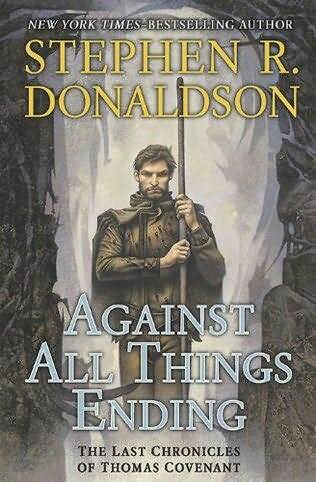 Only a few chapters into Against All Things Ending, the penultimate volume of the Last Chronicles of Thomas Covenant, and I’m thrilling to my favorite author as much as ever. This is The Land, after all, where heroes are self-loathing lepers, rapists, and suicidal depressives, and where even the most promising beacons of hope spell calamity. Now, three years after one of the greatest cliffhangers in fantasy literature, comes Against All Things Ending, and in the first chapter we get treated to Covenant’s perspective in the very first moments after his resurrection. It’s worth citing some of the brilliant writing. I imagine this to be a dark version of the Johannine incarnation/resurrection — the “white gold becoming flesh”. “Thomas Covenant knelt on the rich grass of Andelain as though he had fallen there from the distance of eons. He was full of the heavens and time. He had spent uncounted millennia among the essential strictures of creation, participating in every manifestation of the Arch: he had been as inhuman as the stars, and as alone. He had seen everything, known everything—and had labored to preserve it. From the first dawn of the Earth to the ripening of Earthpower in the Land—from the deepest roots of mountains to the farthest constellations—he had witnessed and understood and served. Across the ages, he had wielded his singular self in defense of Law and life. “But now he could not contain such illimitable vistas. Linden had made him mortal again. His mere flesh and bone refused to hold his power and knowledge, his span of comprehension. With every beat of his forgotten heart, intimations of eternity were expelled. They oozed from his new skin like sweat, and were lost. “Still he held more than he could endure. The burden of too much time was as profound as orogeny: it subjected his ordinary mind to pressures akin to those which caused earthquakes; tectonic shifts. His compelled transubstantiation left him frangible. With every lived moment, fractures spread deeper into his soul. Defying every necessity that sustained the Earth and the Land, he had pointed Linden toward the ineffable catastrophe of his resurrection. I’m sure that Against All Things Ending will deliver the usual fever-pitched crescendos with unceasing suspense. Back to reading. A tough question, but this is what I came up with. Songs which I think are either as good as, or surpass, the studio version… and there are currently youtube videos for all. Enjoy. 1. Ode to My Family, by the Cranberries. Munich, 1995. 2. Par Avion, by Mike and the Mechanics. Dusseldorf, 1989. 3. Skeletons, by the Yeah Yeah Yeahs. Stockholm, 2009. 4. Where the Streets Have No Name, by U2. Slane Castle, 2001. 5. San Jacinto, by Peter Gabriel. Modena, 1994. Mark Nanos posted a fun quiz on Facebook, The New York Times “Test Your Savvy on Religion”, which has an eye on inflammatory scriptures and religious extremism. Go ahead and take it (reproduced below) before reading further. I scored 12/13. I do have a slight problem with what The New York Times author is trying to put across. He correctly implies that all religious traditions have the scriptural arsenal to justify basically whatever they want, whether violence or peace, intolerance or kindness; and thus that all religions have the wherewithal to evolve positively. But he also seems to imply that our major religions — Judaism, Christianity, Islam, Hinduism — are about equally clean and dirty in doing this. The patronization of Islam is transparent. The real question, to me, isn’t so much what religious texts say, but how seriously they are taken, or to what degree they are subordinate to others. I don’t know of many Jewish people who advocate #1 and #11 (the Old Testament injunctions to stone non-virgins and dash the heads of babies against rocks). On the other hand, there is massive agreement among the four schools of Sunni jurisprudence that jihadist warfare against unbelievers is obligatory for Muslims, and that Jews and Christians who refuse to convert to Islam should be subjugated as second-class citizens — which means that practically speaking, #2 (the Koran’s “let there be no compulsion in religion”) may not be such a cause for comfort. The Times author is right that we shouldn’t rush to inflammatory conclusions about a religion based on cherry-picking texts, but nor should we hold back from underscoring inflammatory elements based on actual practices. It may not be the PC thing to do, but it’s honest. Anyway, enjoy the quiz. 11. Which holy scripture urges that the “little ones” of the enemy be dashed against the stones? 4. c. Koran. Islam teaches that Jesus was a prophet to be revered. 10. All of the above. Muhammad’s Jewish wife was seized in battle, which undermines the spirit of the gesture. By some accounts he had a second Jewish wife as well. If you want to know what professional historians say about the crusades, these are the books you need. 1. 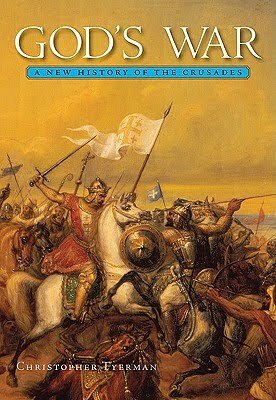 Seven Myths of the Crusades, Alfred Andrea & Andrew Holt (editors). 2015. The grand myth of the medieval period is that the crusades were a a barbaric and unprovoked assault on a sophisticated and relatively tolerant Islamic world. No crusades scholar takes that myth seriously but it persists everywhere — in films and novels, political speeches and commentary, even in the halls of undergraduates. Breaking it down into seven sub-myths, historians take turns communicating current scholarship to a general reading public, and make the scholarship accessible and engaging in a way that many academic books (even some on this list) are not. If there is only one book on this list to read, it’s this one. Reviewed here. 2. 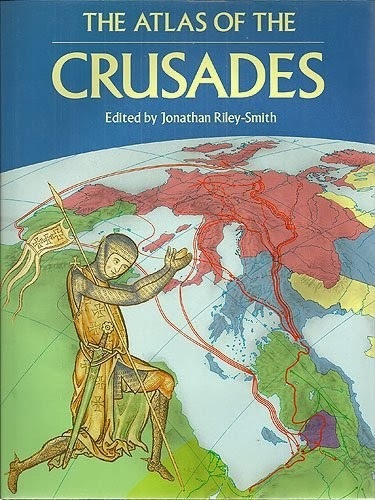 The Atlas of the Crusades, Jonathan Riley-Smith (editor). 1990. Maps punctuated with painstaking detail — historical dates, battle sites, travel routes, castles & fortresses, monasteries & holy sites, cities and towns — are set against the backdrop of splendid color-plating. The expeditions to the holy lands are charted in minuscule detail, as well as those in Spain and the Baltic region. See how the Islamic world evolved and shifted under different caliphates, and how Christendom responded to recruitment for the holy wars. It’s a crime that this is out of print: it’s a visual bible, unlike Angus Konstam’s Historical Atlas of the Crusades, which should be avoided. It’s rare that I would recommend an atlas as one of the best sources on a particular subject, but this is a goldmine of information. 3. God’s War: A New History of the Crusades, Christopher Tyerman. 2006. The definitive history of the crusades covering the holy wars in Palestine, the Spanish Reconquest, the Baltic campaigns, and wars against the Ottomans. It demolishes myths about crusading motives, which had nothing to do with conquest or boorish greed: knights were impoverished by crusading expenses and expected to return home. Crusaders were driven by sincere piety, the need for penance, and to take back the holy lands where Christ walked and was killed. As for the papacy, it was driven by the 11th-century reformist agenda, as it tried to redeem a knighthood whose profession didn’t allow for peace. Tyerman shows how crusading evolved, and how it was criticized and lacked support for over a century before Innocent III established it as an institution with all the logistics formalized. He also dispenses with lazy comparisons to the Islamic jihad. Unlike the crusades which were voluntary and theologically problematic, the jihad was mandatory and fundamental to Islam. 4. 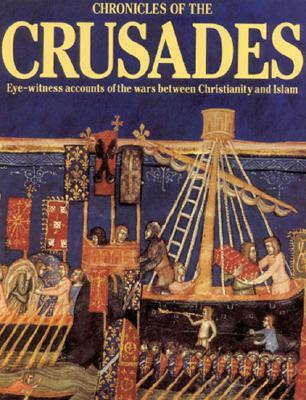 The Chronicles of the Crusades: Eye-witness accounts of the Wars Between Christianity and Islam, Elizabeth Hallam (editor). 1989. Eyewitness accounts. Loads of them. A tale of cannibals who roasted babies on spits; the account of the horrible fate on the Field of Blood; a rabbi’s account of how Bernard of Clairveaux saved Jews from massacre; descriptions of the gradual “easternizing” of crusaders; a Muslim’s contempt for Acre, “the city of Christian pigs”; Innocent III’s letter of excommunication threats to the leaders of the Fourth Crusade; and much more. 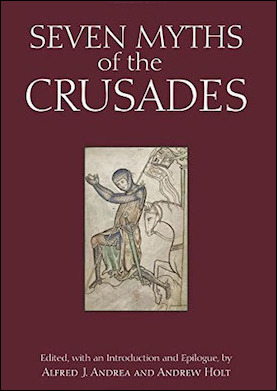 No student of the crusades should be without this handsome selection of primary sources interwoven with modern essays. 5. What Were the Crusades?, Jonathan Riley-Smith. 2009. The crusades have been either incorrectly or too ambiguously defined, and Riley-Smith explains them in context. A crusade was (1) a voluntary and temporary vow to wage warfare in the defense of Christian places or people; (2) approved by the pope; (3) penitential, whereby the participants received remission for the penalties of confessed sins, as well as a package of related temporal privileges, including church protection of family and property, immunity from lawsuits and debt interest. Crusades weren’t confined to the holy lands; the wars fought in Spain and the Baltic region were also crusades. This book justifies the definition. 6. The Dream and the Tomb, Robert Payne. 1984. 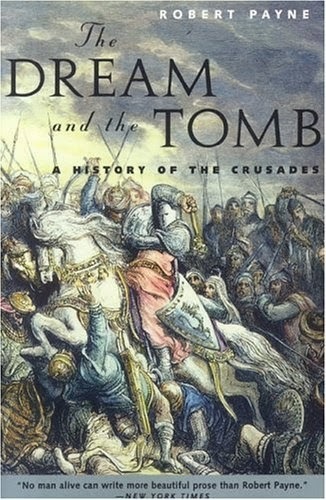 If you want a popular treatment of the crusades, go with this one (and avoid Karen Armstrong). It focuses on the holy land theater (1095-1291) and reads like a novel while mostly remaining true to history and primary sources. The chapters covering the time period of 1100-1187 are the best, sketching the six kings of Jerusalem in all their colorful personas: militant Baldwin I, pious Baldwin II, shrewd Fulk, charismatic Baldwin III, lecherous and unbelieving Amalric I, and brave, leprous Baldwin IV (Payne curiously drops the ball on Baldwin I, calling him a womanizer of all things; most scholars now recognize that he was probably homosexual). By the time Jerusalem falls to Saladin in 1187, this dynasty has become part of your family. 7. 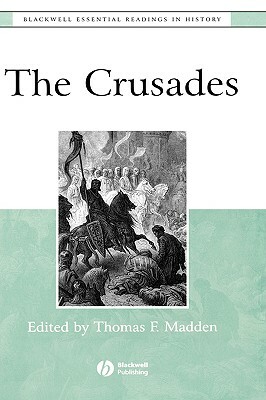 The Crusades: The Essential Readings, Thomas Madden (editor). 2002. An important assortment of scholarly essays, many of which broke important ground. Jonathan Riley-Smith — the “E.P. Sanders” of crusades scholarship — refutes myths of colonial crusaders, in particular the idea that crusaders were landless sons intent on carving out territories abroad. Tyerman’s controversial article, “Were There Any Crusades in the Twelfth Century?”, argues that prior to Innocent III (1198-1216) the crusades really weren’t distinct from other forms of Christian warfare. H.E.J. Cowdrey’s classic “Pope Urban’s Preaching of the First Crusade” also finds a place in this collection. 8. 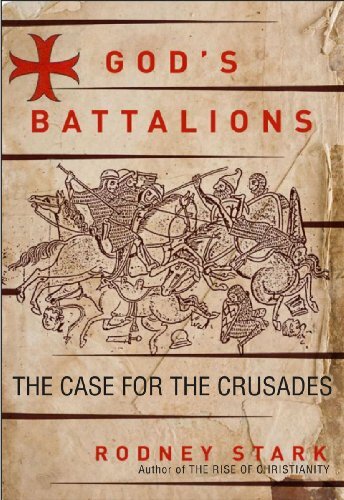 God’s Battalions: The Case for the Crusades, Rodney Stark. 2009. This makes a reasonable case for the crusades as a necessary evil: that they emerged as an overdue response to Islam, a hijacking of the Christian religion, tailored for medieval knights whose profession didn’t allow for peace, and who could now channel their aggression into a needed cause. The book starts with Muhammad, not Urban II, and dispels myths of Islam’s “golden age” of tolerance. Muslim rule had always been militant, supremacist, and expansionist, and its early cultural sophistication originated with the conquered dhimmi populations who lived in humiliating servitude. The point isn’t that Christians couldn’t be brutal and intolerant; this was a brutal and intolerant age. But the common idea that Muslims were the lesser villains, or enlightened supporters of multiculturalism, isn’t true. Reviewed here. 9. Reconquest and Crusade in Medieval Spain, Joseph O’Callaghan. 2004. Spain was not only a critical part of the crusading theater, it was the longest running, dating from even before the First Crusade to the end of the 15th century. 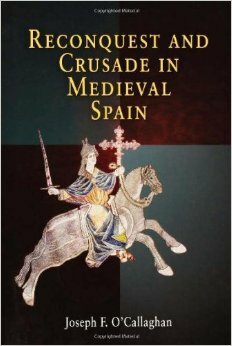 This books shows the degree to which how crusading transformed Europe, let alone Palestine; Spain practically became viewed as an alternative holy land, and a peculiar one where Spanish nationals and religious zealots joined to produce something unique. People came from all over Europe to aid in the Reconquest. O’Callaghan knows Spanish history inside and out, and was born to write this book. 10. 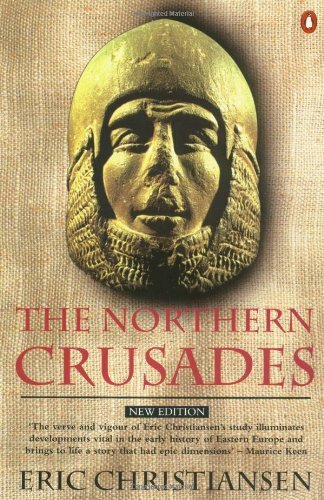 The Northern Crusades, Eric Christiansen. 1998. Like the above entry, this one focuses on a huge theater of crusading outside the holy lands. The wars in the Baltic were as penitential as those in Spain and the holy lands, and far more successful. They were essentially the struggles of Scandinavian rulers, and the German military monks known as the Teutonic Knights, to take over Finland, Estonia, and Prussia. It ended up producing a more formidable conflict with the eastern empires of pagan Lithuania, orthodox Novgorod, and Catholic Poland, and was a long-lasting clash dating from the mid-12th century to the mid-16th. It’s the essential book for the Baltic crusades.